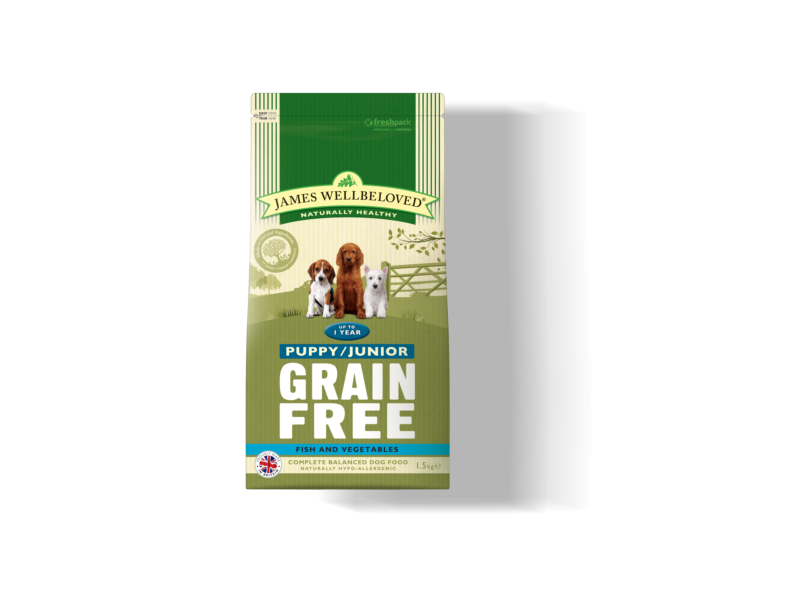 Using all James Wellbeloved's natural knowledge and experience, they’ve created James Wellbeloved Grain Free Puppy/Junior. Taking a handful of ingredients from nature, one source of animal protein and combining them with all the vitamins and minerals your dogs needs. 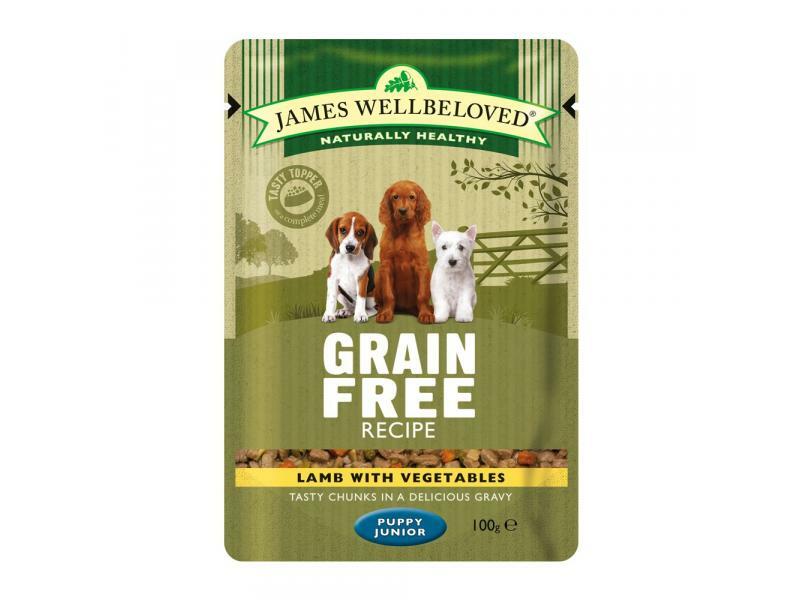 For added peace of mind, it’s naturally hypoallergenic so less likely to cause an adverse food reaction, made without cereals such as rice and barley for those more sensitive puppy/junior dogs. No added artificial colours, flavours or preservatives. Feed in at least two meals per day, splitting the daily allowance between the meals. The food is designed to be fed dry to fully weaned puppies but maybe moistened with warm water to bring out the flavour. Store in cool dry place, keep closed between uses. Supply plenty of clean, fresh drinking water at all times. We recommend that feeding be supervised. Feed in one meal per day or ideally divide into two meals per day. The food is designed to be fed dry but may be moistened with warm water to bring out the flavour. 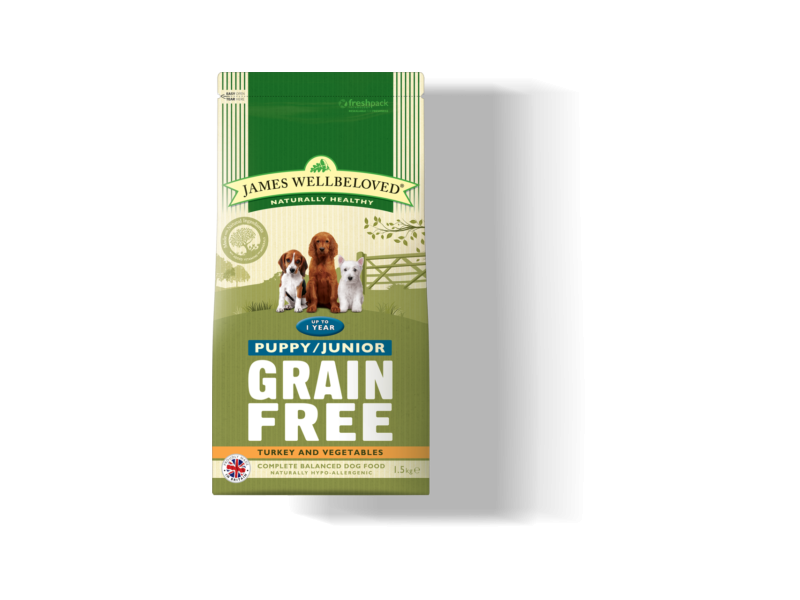 There are currently no questions for James Wellbeloved Grain Free Puppy/Junior Food - be the first to ask one!